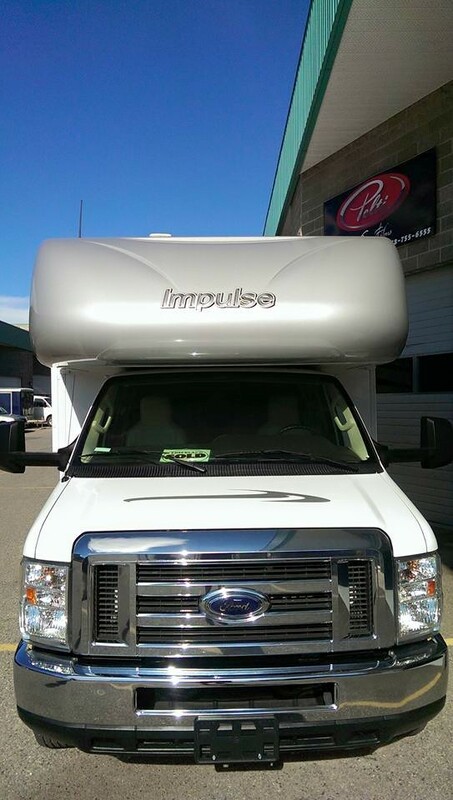 Whether it's that big, flat front end of your "Class A" motorhome or the leading edge of your fifth-wheel or hitch trailer, you know how much damage the rocks and sand cause to your paint and gel-coat. 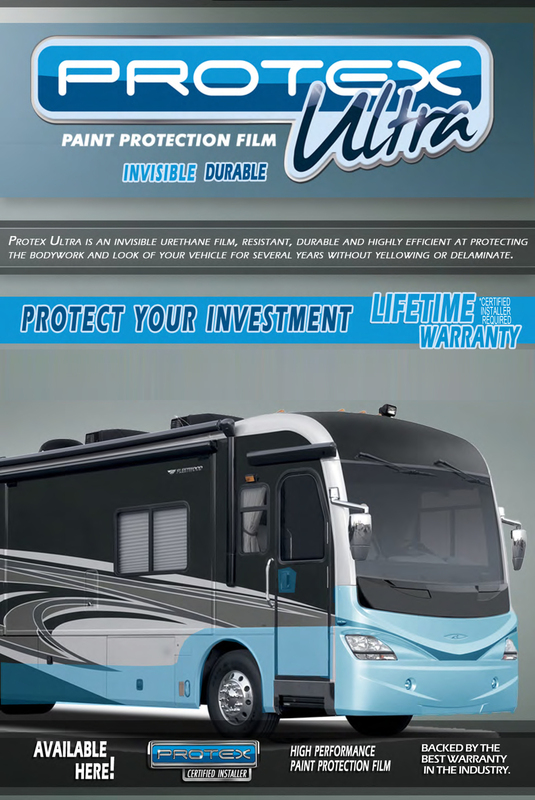 Make those worries a thing of the past and protect your investment with Protex Ultra paint protection film! Our proprietary film is theo only true self-healing film on the market, virtually invisible, gel-coat safe, provides a beautiful new gloss finish and can even reduce or completely erase the appearance of existing scratches and swirl marks. Along with the only LIFETIME manufacturers warranty in the industry, you get the added protection of Canada's largest franchise network of paint protection film providers so that no matter where your travels take you we won't be far away. Don't forget to ask us about package pricing when you protect your tow-behind vehicle too.